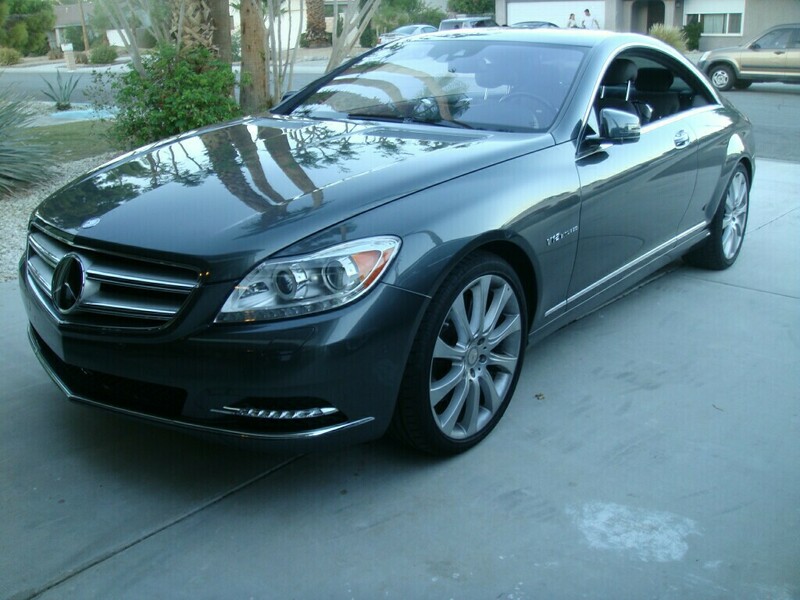 Having brand new '08 CL550 for 4 months then trading it (with 20k loss) for brand new '08 CL600, then purchasing '13 CL63 AMG. CL600, I kept for 5 years (very unusual in my case), that's how good it was. CL63 AMG happened to be the biggest piece of garbage ever, ending up and winning Lemon Law lawsuit. I guess I'm bit qualified to chime in on the issue. Of course looks are subjective, but in my opinion the new S Coupe MB is the ugliest exterior designed car in recent memory. On the other hand S Sedan MB is one of the nicest, most elegant ones. Everyone is raving about the new S coupe, but personally I am not very impressed. I'm trying to make sense of this thread without reading all of the longer posts...but lemmie get this straight -- someone bought a new CL over an S Coupe while the S Coupe was ready and available to purchase? If I got that correct, did everyone including the janitor at the dealership do this after he drove off the lot? Big issue with the new S Coupe, regardless of how one likes or dislikes the design right now, is that once the C Coupe probably comes out and looks like a scaled down version, much like the C to S, it'll water down the much, much more expensive variants presence very much. Rendering it another expensive M-B that gets increasingly threatened by M-B's continuously stronger volume prevalence in lower priced segments. Already it's fairly easy to mistake a $30somethingK FWD CLA front for an S Coupe's front at quick glance, as aside from dimensions, they're extremely similar namely when the CLA has the "diamond grill" and Sport Package and all that stuff. I continue to predict that through M-B's carrying over design languages stronger than in recent history through a price range that's widened more than ever in the companies history, the less-utility-friendly (read: non-S Class) uber-segment M-B's will continue to see less demand after their first or second years in production. Already the SL which used to be a monumental event in the car industry, is practically snoozed over and forgotten. Natural inflation in numbers might keep at least some of them appearing competitive with previous gens, but many will not only see sales declines over previous generations, but regardless of whether they do, they'll continue to take a much smaller portion of the M-B volume pie. I was wondering how long it would take for you to show up...our BMW lover. Please don't get any of us started on that piece of...well you know. There is something seriously wrong here. You're either just not willing to live in the real world you're just jaded. Won a car? Seriously, dude do you know what you're talking about? The S500 was paid for in cash. Who the hell wins a 15 year old car, and win it from where???? The CL was a sales dud in the last few years because they didn't sell. Period. Just because it took you months to get the car doesn't mean squat. Man don't you get that the CL was selling in the double digits this year and that MB wasn't building them because they couldn't sell them?????? 1. The CL was a regular production Mercedes like all the rest. 2. The CL was not handmade anymore than any other Mercedes S-Class vehicle was. 3. CL sales were dismal at best after 2010, the so called year when it got better looking, according to you. You seemed to get confused easily, because at no point did I say anything about the CL or if it was a good car or not, yet you seem hell bent on telling me how I don't know anything about the car. I drove a CL550 at least 5 times before I bought my 650i and while impressive, it felt old to me. My problem here is that you seem to think the CL was some limited production car that Mercedes couldn't or wouldn't make more of, and nothing could be further from the truth. Beverly Hills is NOT the best place to gauge demand for the CL. You do realize that MB has dealers across the country and the CL was one of their worst selling cars in the last 3 years? I haven't changed anything in my profile either? WTH are you talking about man? What does you spending more money in a month than I make in a year have to do with anything? No wonder why some people look at high-end MB drivers as douche bags. Like they say, a fool an their money are soon parted. guys, i think we're getting trolled pretty hard here. This guy writes like a child. No, I had the choice to wait but decided to buy the CL in case I didn't like the S Coupe and didn't want to be left holding the bag, so to speak and boy am I glad I didn't wait. Maybe not a financial win but after going over everything on the Edition 1 (before it was available for sale). I just didn't like many different aspects about the car. First, it looked like the E Coupe sitting right next to it. Then, I closely inspected the little details. No wood on the dash, no wood on the doors,(basically almost no wood to speak of). I didn't like the design of the dash at all or the steering wheel. The wood on it was almost non existent. They also did away with the detent on the doors for keeping it in place. The door swings wide open now, so if I were parked in a tight space (as in my over packed garage) the door would swing out and hit my other car. I like the way the CL's door will stay at any place I put it. 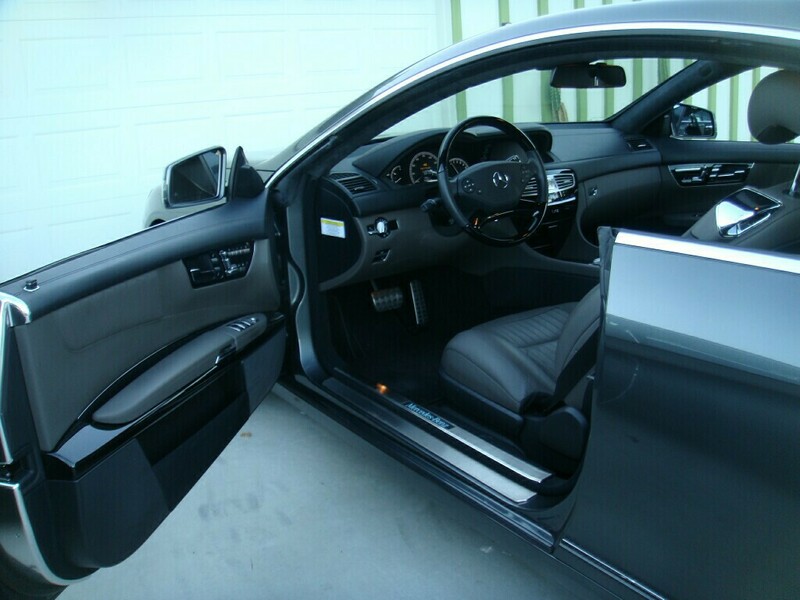 Then, I looked and for the very first time ever in a Mercedes Coupe, the trim that covers the door latch on the inside of the opening was deleted. Now, you see paint and the rubber is completely exposed. They have removed everything that is and was what the ultra high end coupe was all about. The bean counters finally got their way. I am sure the designers wanted the covers but money rules the company. Profits mean more than what the car is all about. It is all the details that the car is now lacking. Even the suspension is junk. Airmatic no matter how hard you try will never be able to give you the stability of the full ABC suspension. Hey there are things I wish my CL had that the S has but if I have to do without the refinements, what is the point. Just to own a newer model because it is a change. Change isn't always good and they have proved that. To be honest the most beautiful interior of all Mercedes is the 65 sew pattern from 07-14. It's Bentley special. I couldn't find a 65 in a color I could stand and because MBZ decided that you couldn't just get one from a dealer (it had to be special ordered and I was to late). So, I got lucky and found one that a customer had given up. I loved everything about it and bought it. I figured if I liked the new S Coupe I'd trade it. Well, I don't like it and I'm glad I bought what I did. As much as I love the 14 CL600, is as much as I dislike the S Coupe (even with a Designo interior). Anyone who has ever owned a 600 series will know exactly what I am talking about. You are what I excrete after breakfast. Not a single ounce of sophistication secretes from your pours. Your basically one of the most vile people I have ever had the displeasure or being in contact with. Please stay out of the conversation, if you have nothing of known knowledge to speak of. Now someone who knows what he is talking about. You have hit the nail on the head. BTW, even though I am not a BMW fan, your car is very attractive, indeed. I would turn my head, if I saw it passing or in the parking lot. Your thoughts are very much on point. I have been saying the same thing about everything you have mentioned. If I a true MBZ lover notices it and you a BMW lover notices it, then how many others notice it. This S Coupe should have been the one that was knocked out of the park. They are supposed to be better with each model not de-content or make them look like the rest of the pack. Yes, the first years will sell but after that, there will be other cars people find more appealing. I didn't care for the 07-10 CL until the 11 came out with the refresh, then I was hooked. Maybe MBZ will see that they made a mistake and correct it sooner rather than later. They have been known to pull many rabbits out of a hat at just the right time. BMW's have started to win over a lot of the MBZ customers. The only thing is they need to work on the interior content. They have never been one for the frills. Well, you can't compare an S Coupe to any C Coupe, I do know that 100K takes care of that right off the bat. I do know the C coupe will look like the E and the S and any other car MBZ sells. 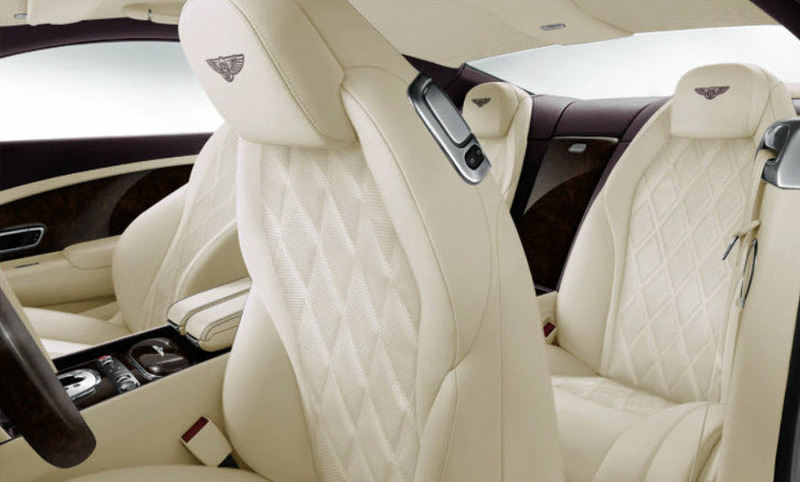 Here is the interior of my Bentley but I was hoping that they would at least try and compete with Bentley but they missed the mark in a big way. The CL was very close but instead of going forwards, the went backwards. I was hoping for even more content than this but I am thinking my days of owning another new MBZ wont be happening any time in the near future. Oh well. Another thread that became a Freak Show. Note to self...do not post another thread asking about S550 Coupe. I apologize if I offended any one but sometime people like to be mean and rude and push buttons instead of trying to interject with facts. These people don't actually know what they are talking about, most of the time. I am proud of my new purchase and since I didn't finance the car, so I can trade at any time. I can however promise it wont be for the S Coupe. (no matter who or how many critics rave about it) It is a design, all critics rave about new designs, then off to another car to rave about . They have never driven a 600 Series MBZ. So, unless you can actually test drive one against the new S 550 Coupe you really can only comment on impressions not actual facts. That goes for everyone. The CL and S 550 of old are totally different animals than the 600 Series. So, again, I apologize for ruffling any feathers but there are some people who like to interject opinion, instead of knowledgeable facts. Also, there were only less than 200 CL's built for 2014 and from what I have been told, only about 1% were 600's. Last edited by 2014CL600; 11-29-2014 at 02:55 PM. I have a 06 CL600 as well. Along with other MB cars that are not brand new or even close to it. My problem with this paragraph or whatever it is.. Because someone drives a 10 year old MB doesn't mean they cannot afford a new one. That is a silly comment. Not everyone wants a new car or cares if the car is brand new. We bought a nearly fully loaded $72,000 E350 for far less not because we are on a budget but because it had everything we wanted for cheaper. Could of bought new but found it to be a waste of money. Our CL is no different. Why spend $100,000+ when they drop at over 80% of value? So who cars if you spend $6,000 on ABC when you buy the car for sub $30,000 you are far ahead of the game. The CL is a production car. A Bugatti is a production car. A Honda Accord is a production car. A Mercedes S is a production car. Only thing different is the amount made and how rare it is. The CL is amazing and I will be buying another one but in no way you can honestly say its not a production car. Some of the most misinformed comments I've ever seen on this site. I get it that a lot of MB drivers are not car enthusiasts now. Really. A CL is not a production car? Just wow. Last edited by Germancar1; 11-30-2014 at 03:06 AM. This guy is just way out of control. He prefers his 216 (although I'm at an absolute loss as to why he thinks the 07-10 and 11-14 look so different), and thats totally fine. But why come on here and talk trash about the new car. Its K-A ish and a big waste of time. Wow. Flattered to have acquired verb fame. Or would that be adjective.... I need sleep. I'll see you guys back here in a few years when predictably due to the reasons outlined above, we can pick up used S550 Coupes for the price of new C300's. Beauty is in the eye of the beholder, my friend.